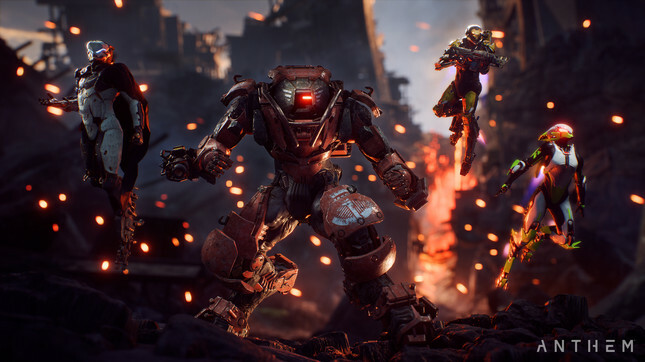 Anthem's Day One patch is dropping on Friday alongside the game's release and it's expected to fix one of the game's biggest complaints: load times. The official launch of BioWare's open world shooter is February 22, however premier subscribers to EA Origin Access were granted access on the 15th... making this "Day One" patch more of a "Day Seven" – but who's counting? As a result, premier members have encountered a slew of bugs. The most noticeable of those being load times, which either last several minutes or in some instances result in an "infinite loading screen." In addition to fixing load times, Anthem's Day One patch will also seek to fix issues with challenge tracking, connectivity problems, and UI feedback regarding weapon and gear mods.